In 2019, smart home technology is old news, but every year the technology improves and new applications are unveiled. We’re not a tech hub where you’ll find the latest products, but in the spirit of the new year, we want to explore some of the smart home technology you may see more of in the coming months. It’s all about full integration now. In 2017 and 2018, it was common to see a smart thermostat in someone’s home. Today, it’s more common to see a Google Home or Amazon Echo, which can be connected to other smart devices in your home, making everything voice activated or controllable via a smart device. 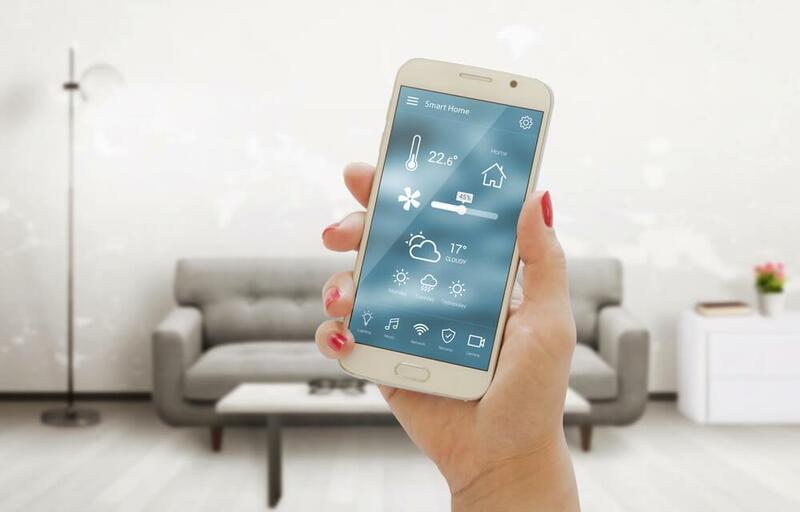 The most common smart home features seem to be the thermostat, lighting, security cameras, door locks, and if you splurged you may have smart window shades. With this in mind, we want to highlight a few other areas of the home that may get smart in 2019. You may have come across a few of these already but didn’t notice. In 2019, we think more households will install smart video doorbells that have facial recognition and send notifications to your smartphone when it senses movement. It’s basically a glorified front door security camera, but doesn’t have to look like a camera. Interested in smart home tech but nervous to take the leap? A smart plug/switch is an easy and affordable way to automate anything that’s plugged into it. We can see this being an easy entry point into the smart home world as more people look into making the transition. Some smart plugs also have energy monitors so you can track how much energy you’re using. You may be wondering why these detectors need to be smart - all they have to do is detect smoke or CO and make a loud noise to alert you. Well, there’s a market for it, and it makes sense to make the upgrade if you can afford it. Smart detectors can send you warnings when the batteries are low, and have improved sensors that more easily pick up on signs of danger. Think about all the rain we had in 2018. Odds are you or someone you know had a flooding issue in their home. Having a smart flood sensor would allow you to take action immediately, limiting the damage on your basement. If you’re going to get a smart flood sensor, get one that plugs into the wall so you don’t have to worry about batteries. If there’s ever a flood, you’ll be notified right away via your smartphone, whether you’re upstairs in bed or at work. All of this technology exists and some have been around for years. You can buy it all today. As 2019 progresses, we think we’ll see more of everything mentioned finding its way into homes across the country.